This section is based on the research and field notes of Stephen A Green, Gary R. Feulner and Adam Green in 1998 in the Hajar Mountains of eastern Dubai, United Arab Emirates. The area of study is the Power Station Wadi near Hatta. 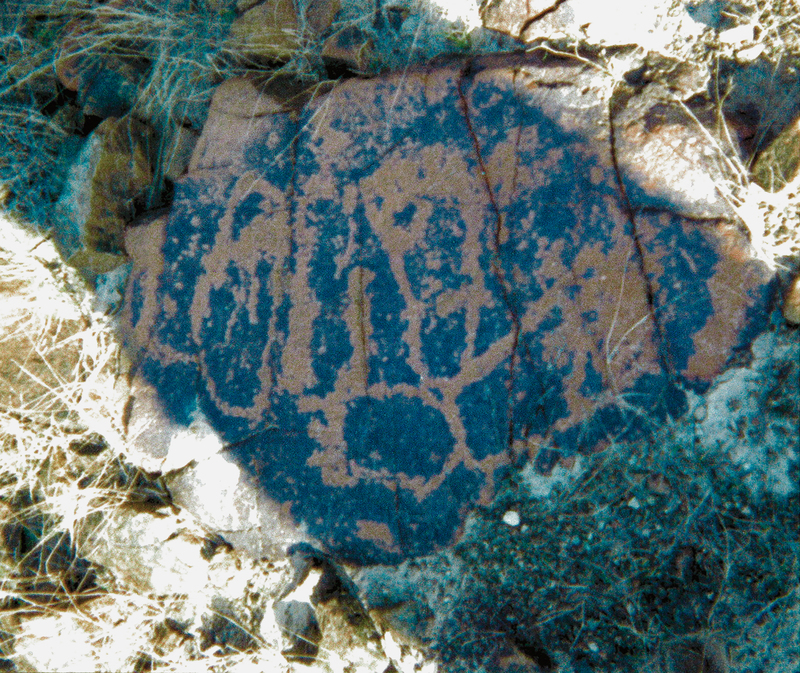 The petroglyphs - boulder art - and ancient dwellings were discovered during an official expedition to the Power Station Wadi to investigate the freshwater mollusca. The United Arab Emirates [the Emirates or the UAE] is an Arab country in the southeast of the Arabian Peninsula on the Persian Gulf, bordering Oman to the east and Saudi Arabia to the south. It is a federation of 7 emirates: Abu Dhabi [the capital], Ajman, Dubai, Fujairah, Ras al-khaimah, Sharjah and Umm al-Quwain. This section is based on the original field notes, available in pdf format. 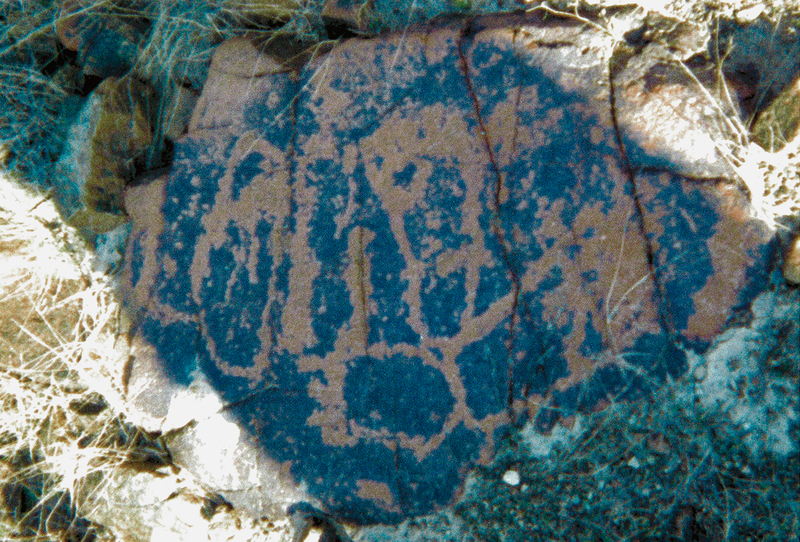 This raw data represents one of the largest surveys on the rock art petroglyphs and boulder art of the United Arab Emirates, as well as one of the most diverse. From the author: "The UAE wadis, foothills and mountains were an unforgiving environment 15 years ago (without mobiles, gps or maps). Air temperatures of 40-45 C with 100% humidity were normal. We would meet at 6am, drive three hours, walk one to two hours to find a good site, and obviously had the reverse to do to get home, normally at about 10-11pm. We did this most Fridays between us. It was also one of those strange things that you could walk for what seemed like hours without seeing a living thing but whatever rock you decided to sit on and have a rest was always home to the local Carpet Viper or the largest Camel Spider in Arabia!". The aim of this section is to encourage further scientific investigation into the rock art in the region, as well as providing students of archaeology with an example of survey and field note procedure. Hopefully, with interest and support, the material will ultimately be extracted for formal publication both online and in print. 1) 1998 - A Preliminary survey and recording of the Boulder Art within the ancient terrace villages in the Power Station wadi near Hatta, Dubai, by Stephen A Green. 2) 1998 - Amendment 1: A Preliminary survey of the Boulder Art in the Power Station Wadi, Hatta, Dubai, by Stephen A Green. 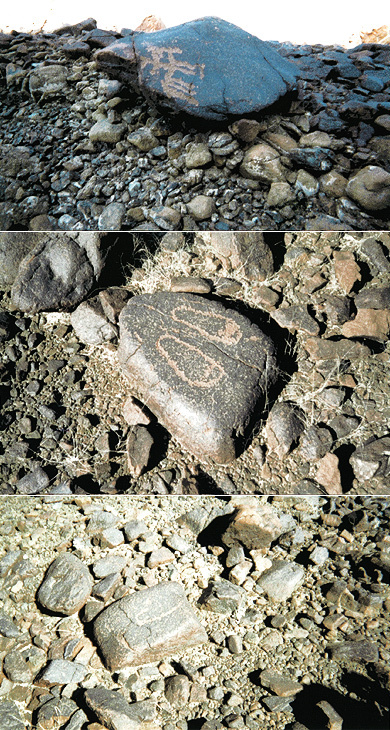 3) 1999 - Amendment 2: A Preliminary survey of the Boulder Art in the Power Station Wadi, Hatta, Dubai, by Stephen A Green. 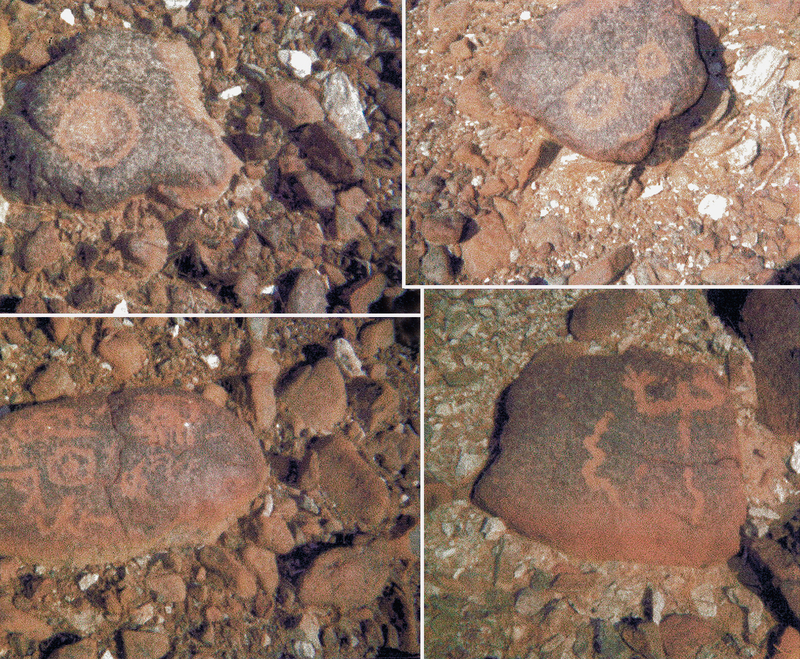 4) 1999 - Amendment 3: A Preliminary survey of the Boulder Art in the Power Station Wadi, Hatta, Dubai, by Stephen A Green. 5) 1999 - A possible Stone Age flint site found near Fili, Sharjah, by Stephen A Green. Stephen A Green first arrived in the Middle East in the mid 1970’s and spent the best part of the next 25 years travelling extensively through Saudi Arabia, Kuwait, Oman, Bahrain, Qatar, Iran, all seven of the Emirates and Jordan. Ostensibly to work as an accountant but more realistically to continue his lifelong hobbies of Natural History, History and Archaeology. In 1994 he published a book 'Bahrain Seashells', along with a number of papers and articles on Middle East molluscs. As an avocational archaeologist he assisted visiting professionals as well as producing and circulating his own reports in order to increase and widen the knowledge of various discoveries: his 1999 paper 'A possible stone age flint site found near Fili, Sharjah' assisted in the search for further research and discoveries of Palaeolithic flints in the UAE. Gary R. Feulner has explored widely in the mountains of the UAE and northernmost Oman and has studied, published and lectured on various aspects of the flora, fauna, geology, geography and archaeology of that area. He has served for more than 15 years as chairman of the Dubai Natural History Group.